M.C. 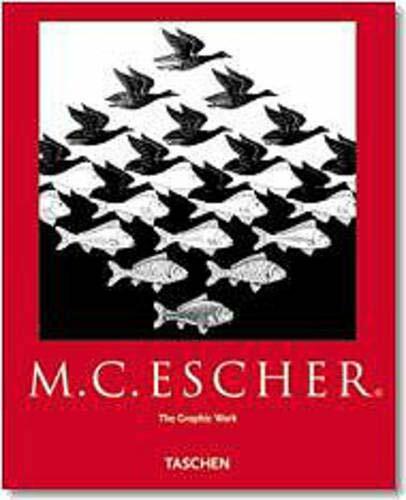 Escher was born in 1898 in Leeuwarden (Netherlands). He received his first drawing lessons during secondary school from F.W. van der Haagen, who also taught him block printing, thus fostering Escher's innate graphic talents. From 1912 to 1922 he studied at the School of Architecture and Ornamental Design in Haarlem, where he was instructed in graphic techniques by S. Jessurun de Mesquita, who greatly influenced Escher's further artistic development. Between 1922 and 1934 the artist lived and worked in Italy. Afterwards Escher spent two years in Switzerland and five in Brussels before finally moving back to Barn in Holland, where he died in 1972. M.C. Escher is not a surrealist drawing us into his dream world, but an architect of perfectly impossible worlds who presents the structurally unthinkable as though it were a law of nature. The resulting dimensional and perspectival illusions bring us into confrontation with the limitations of our sensory perception.